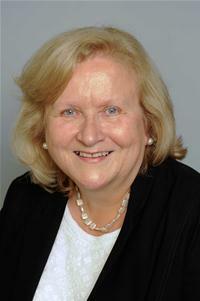 West Drayton Councillor Jan Sweeting has raised concerns that the borough isn’t prepared to handle the number of secondary school children in Hillingdon that need school places. Cllr Sweeting has said that the report on school places that was provided to the Inspector at the Examination in Public of the Local Plan Part 2 in early September is already out of date and does not give an accurate picture of current need. There are a high number of children in primary schools in the south of the borough who will shortly be needing secondary school places. According to information shared at the Education Policy Overview Committee, the Council is planning just one new Free School in the North of the borough to help with school pressures – but at Full Council yesterday the Conservative Cabinet member Councillor Simmonds said that the Council were planning two new free schools – but failed to disclose where these would be. “It seems to me that the Council are not adequately prepared to handle the huge demand for secondary school places that we are about to see in this Borough. The story of how many free schools are supposedly being built keeps changing, but what doesn’t seem to change is the threat of removing choice entirely from parents as most schools in the Borough are full.